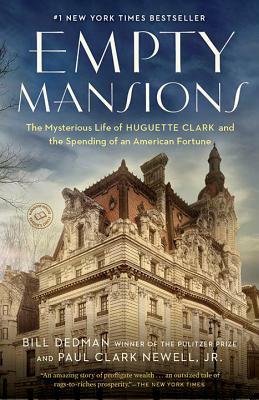 Bill Dedman introduced the public to heiress Huguette Clark and her empty mansions through his compelling series of narratives for NBC, which became the most popular feature in the history of its news website, topping 110 million page views. He received the 1989 Pulitzer Prize in investigative reporting while writing for The Atlanta Journal-Constitution and has written for The New York Times, The Washington Post, and The Boston Globe. Paul Clark Newell, Jr., a cousin of Huguette Clark, has researched the Clark family history for twenty years, sharing many conversations with Huguette about her life and family. He received a rare private tour of Bellosguardo, her mysterious estate overlooking the Pacific Ocean in Santa Barbara.